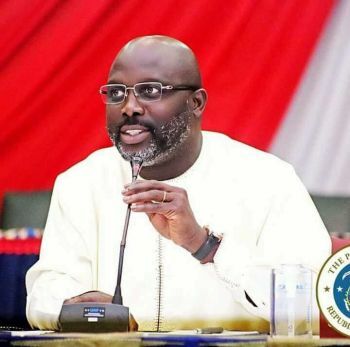 The President of the Republic of Liberia, His Excellency Dr. George Manneh Weah has sent a Congratulatory Message to the Government and People of the Republic of Angola on the occasion marking the 43th Independence celebration of that country. According to a Foreign Ministry Release, the Republic of Angola will celebrate its 43rd Independence Anniversary on November 9, 2018. In the message to His Excellency Mr. Joao Lourenco, President of the Republic of Angola, President George Manneh Weah on behalf of Liberia, extended heartfelt felicitations and sincerest best wishes to the Government and people of Angola as they commemorate this historic occasion. While expressing confidence over Liberia-Angola relations, President George Weah stated “As we collaborate to strengthen the bond of friendship and corporation between our countries, it is my fervent prayer that the Almighty God will continue to endow your Excellency with wisdom and strengthen as you lead your people to greater prosperity”.